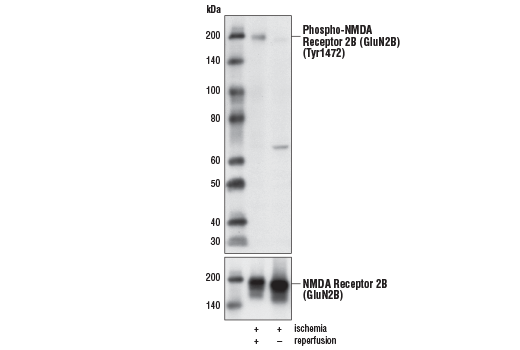 Background: MDM2, a ubiquitin ligase for p53, plays a central role in regulation of the stability of p53 (1). 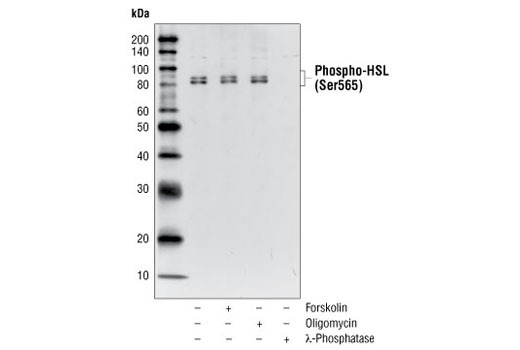 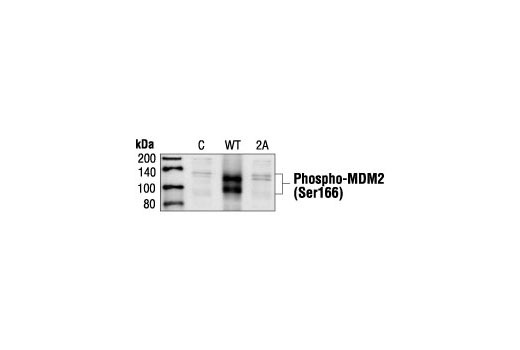 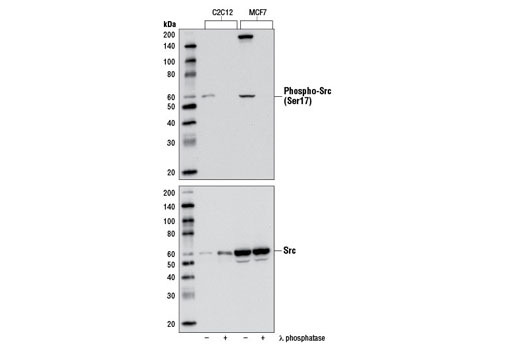 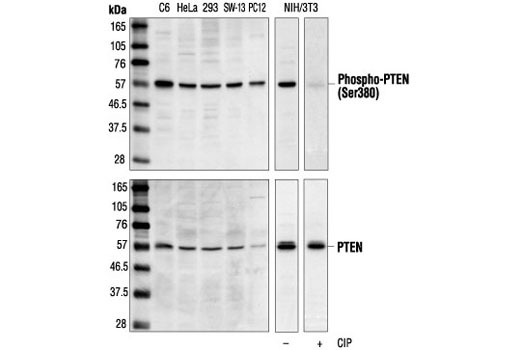 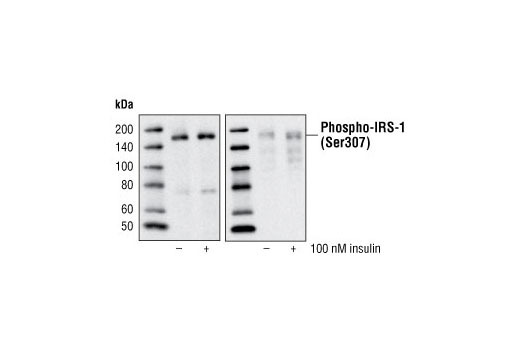 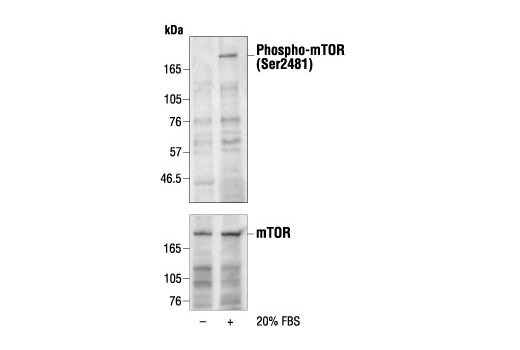 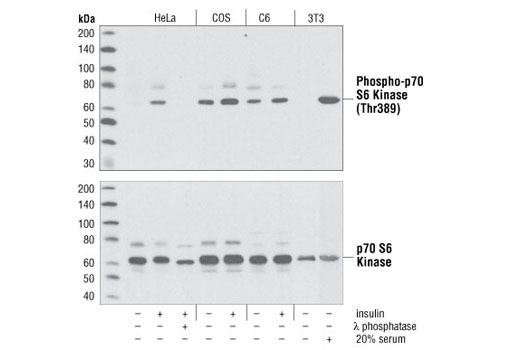 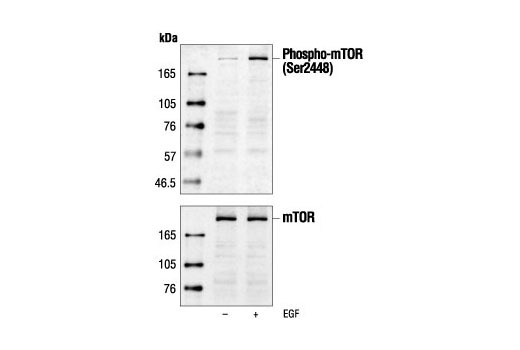 Akt-mediated phosphorylation of MDM2 at Ser166 and Ser186 increases its interaction with p300, allowing MDM2-mediated ubiquitination and degradation of p53 (2-4). 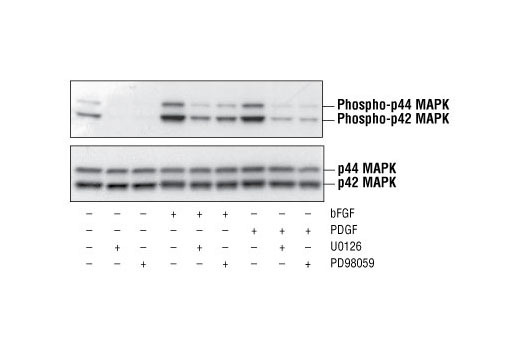 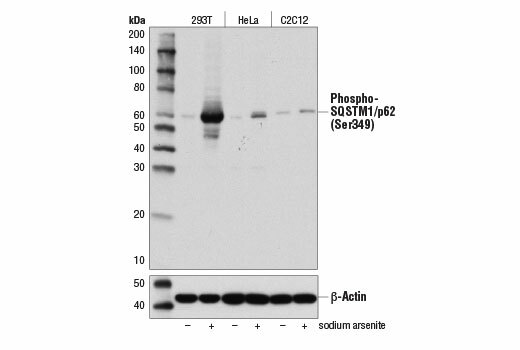 Phosphorylation of MDM2 also blocks its binding to p19ARF, increasing the degradation of p53 (3). 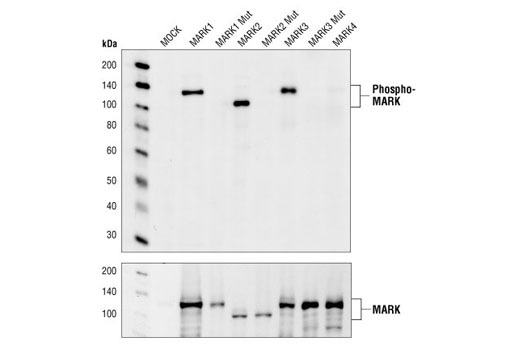 Background: Mammalian sterile-20-like (MST) kinases are upstream regulators of mitogen-activated protein kinase (MAPK) signaling pathways that regulate multiple cellular processes, including proliferation, apoptosis, migration, and cytoskeletal rearrangement (1). 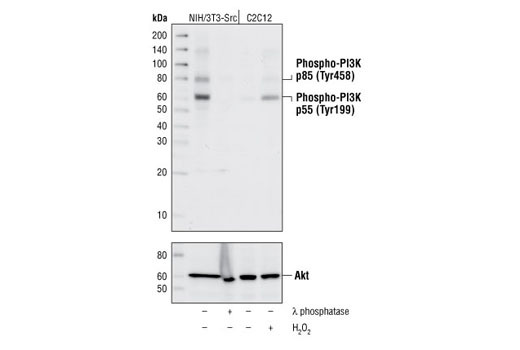 This family of serine/threonine kinases includes MST1 (STK4) and MST2 (STK3), two functionally related proteins with conserved amino-terminal kinase domains and carboxy-terminal regulatory domains that contain nuclear export signals (1-3). 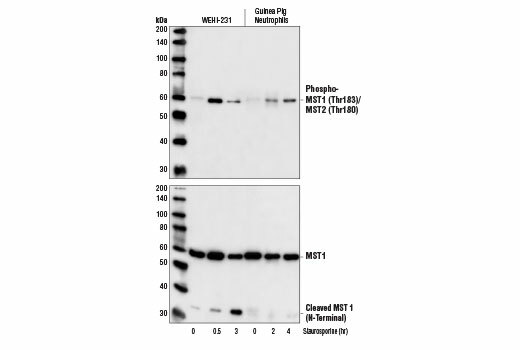 During apoptosis, caspase-mediated cleavage of MST1/2 removes the inhibitory regulatory domain, triggering autophosphorylation and activation of the kinase domain, which is translocated to the nucleus. 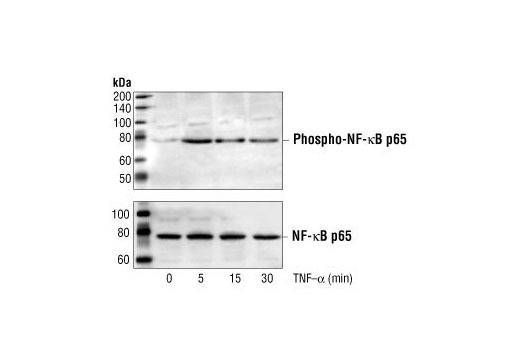 Nuclear translocation of the active kinase induces chromatin condensation and other events associated with apoptotic progression (4).Research studies indicate that MST1/2 are orthologous to Drosophila Hippo (Hpo), one of the core regulatory proteins in the Hippo signaling pathway. 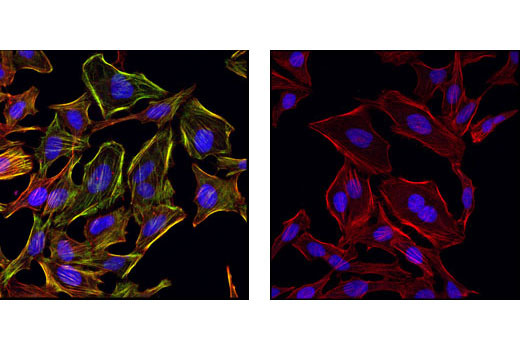 This evolutionarily conserved program controls tissue growth and organ size by regulating cell proliferation, apoptosis, and stem cell self-renewal. 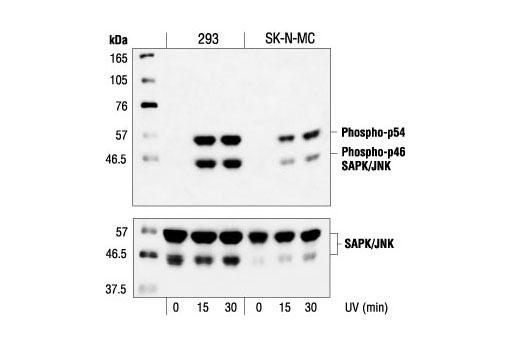 The mammalian Hippo signaling pathway involves a kinase cascade, where the MST1/2 kinases and the SAV1 scaffold protein form a complex that leads to phosphorylation and activation of LATS1/2. 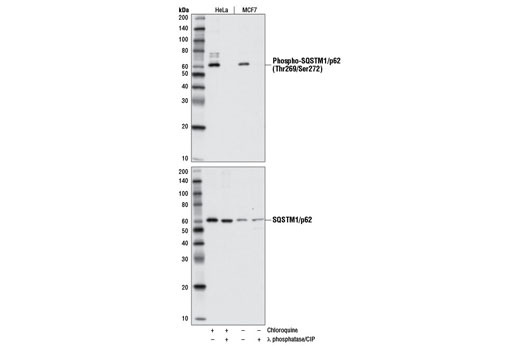 The LATS1/2 kinases phosphorylate YAP and TAZ, promoting cytoplasmic sequestration and inhibition of these transcription coactivators (5). 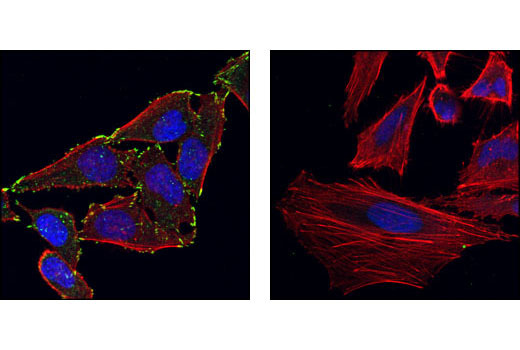 Background: Paxillin is a multidomain protein that localizes primarily to focal adhesion sites in the extracellular matrix (1). 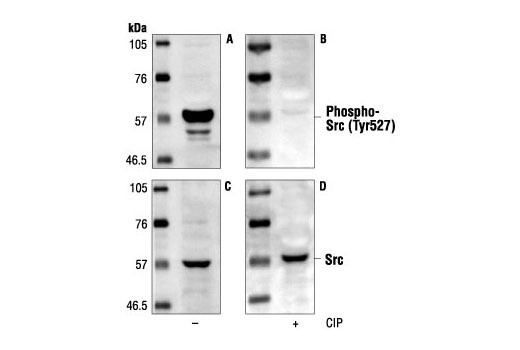 Paxillin is one of the key components of integrin signaling, and tyrosine phosphorylation of paxillin is required for integrin-mediated cytoskeletal reorganization (2). 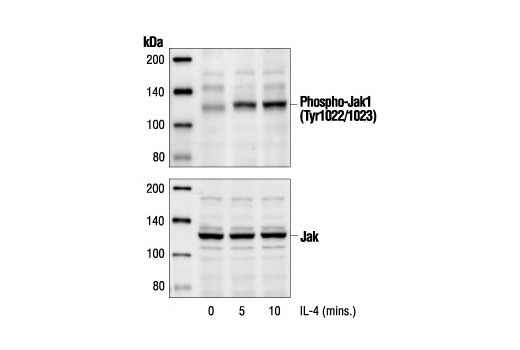 Paxillin is phosphorylated by another focal adhesion component, focal adhesion kinase (FAK), at Tyr118 (3,4). 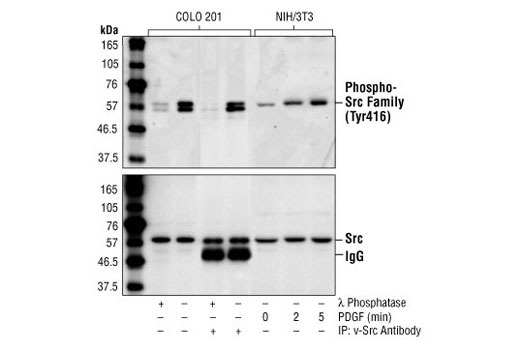 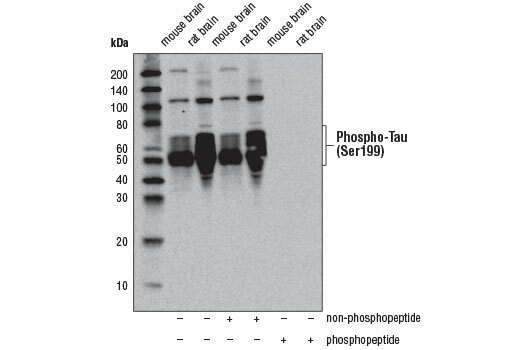 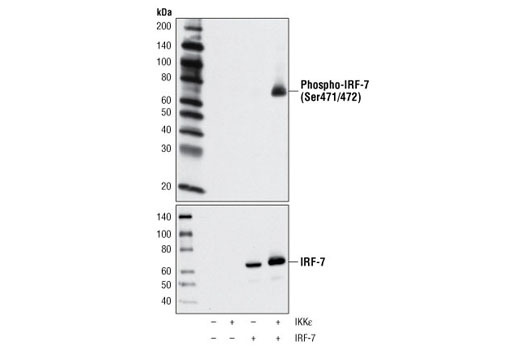 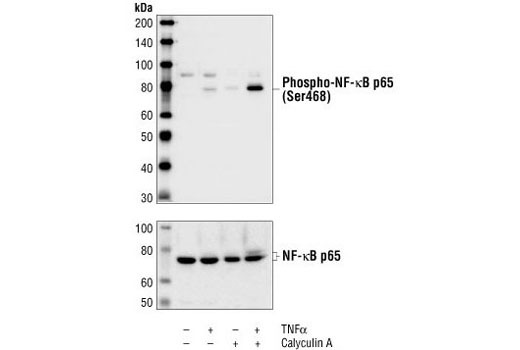 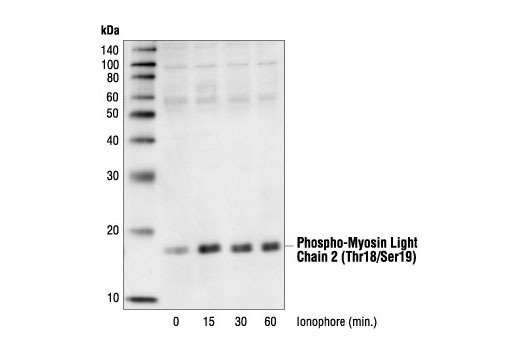 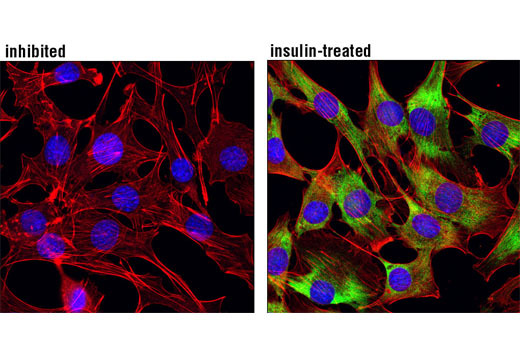 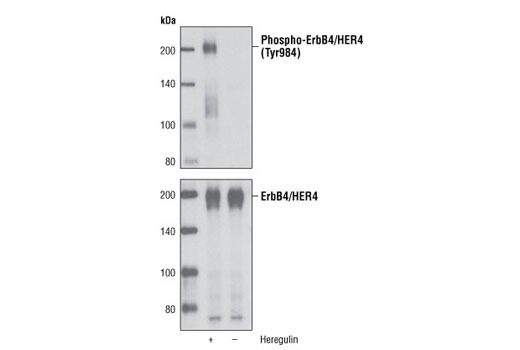 Phospho-Paxillin (Tyr118) may provide a docking site for recruitment of other signaling molecules to focal adhesions. 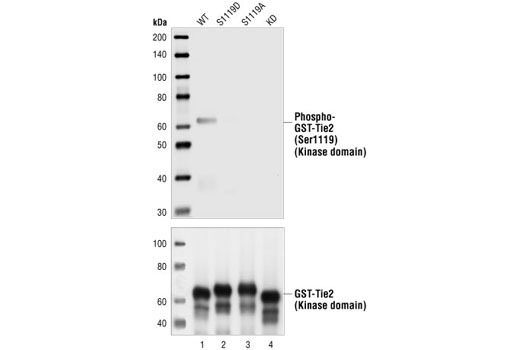 It has been shown that the SH2 domain of Crk binds to the phosphorylated Tyr118 of paxillin (5).